๒๕๕๐ รางวัลชนะเลิศ อันดับ ๑ (Grand Prize) The BEPPU Asia Biennale of Contemporary Art 2007, ณ Oita Beppu Art Museum, Japan. 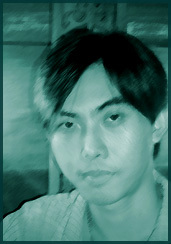 Born Tuesday 4 June 1974, Bangkok. Education Diploma (Painting, 1992), Rajamangala University of Technology Rattanakosin, Pohchang Campus, Bangkok. BFA. (Painting, 1994), Faculty of Fine & Applied Arts, Rajamangala University of Technology Thanyaburi, Pathum thani. 1992 Poh Chang 79th Anniversary Art Exhibition. 1993 Poh Chang 80th Anniversary Art Exhibition at World trade center, Bangkok. 1993, 1994 Contemporary Art Exhibition by Young Artists. 2001 17th, 21st, 23rd-25th 'Bua Luang Exhibition of Paintings' at The Musical Art Centre, 3rd floor, Bangkok. 1994, 1999 9th 'Contemporary Art Exhibition' Organized by Petroleum Authority of Thailand (PTT). 14th 'Sufficiency Economy Art Exhibition' at Silpakorn University Art Gallery. 1995 Art Thesis Exhibition at World Trade Center, Bangkok. Opening Poh Chang Art Gallery Exhibition. 1999 2nd, 4th, 6th 'Best Arts of Thailand Exhibition' Organized by Philip Morris Company. 1995 - 1997 1st - 3rd Panasonic's Contemporary Painting Exhibition at National Museum Gallery. 1996 42nd National Art Exhibition. 'Symbolic & Imagine' Art Exhibition at River City Shopping Complex. 1999, 2000 'Contemporary Art Exhibition' Promoted by Thai Farmers Bank. 1998 'Exhibition of art Singha 65 years' Organized by Boon Rawd Brewery Company. 1998, 2000 1st Painting Exhibition 'Phuket-Andaman'. 1999 'Honour His Majesty The King's 6th Cycle Birthday Anniversary Art Exhibition' Organized by Thai Farmer Bank. 2000 'Models & Sketches Exhibition' to Honour His Majesty The King's 6th Cycle Birthday Anniversary at National Museum Gallery. 2001 'Images : Refuge in Thailand' The Painting Exhibition in Commemorating 25th Anniversary of cooperation between the Royal Thai Government & UNHCR (United Nations High Commissioner for Refugees) at Suan Pakkad Palace Art Museum. 2002 The Exhibition of paintings 'The King in The Heart of Artists' at Silom Galleria. 26th 'Bualuang Exhibition of Paintings' at The Queen's Gallery. 'Painting Exhibition for Chiang Rai Art Hall' at National Museum Gallery, Chao Fah Road. 2004 1st 'Amata Art Award Exhibition' at National Museum Gallery, Chao Fah Road. 27th 'Bualuang Exhibition of Paintings' at The Queen's Gallery. 2005 2nd 'Amata Art Award Exhibition' at National Museum Gallery, Chao Fah Road. 2007 Painting Exhibition in Honour of H.M. the King's 80th Birthday, organized by Kasikorn Bank at Siam Paragon Shopping Cenplex. Ekasit Jirattikanon at River City Shopping Complex. '25 Thai Artists' Contemporary Exhibition at Ploenchit Shopping Center. The Collection Arts of Exhibition 2001. 'Playing Water color' at Royal Garden Plaza Pattaya. 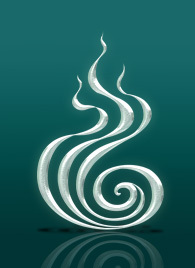 2001 - 2002 Had founded an art group 'I-Paint (Khon-Len-Si)'. 'Water - Color' Exhibition by I-Paint group. 'Painting Exhibition in Honour of H.M. The King' by I-Paint group. 'Sen Silp Thai' at Baan Bangkok Restaurant & Gallery. 'Sen Silp Thai' at Gong Dee Studio, Chiang mai. '12 Thai Images' Art Exhibition at RCK Tower, Silom Road. 2002 'Living Thai' Exhibition at The Grand Hotel. 2003 'Thaksinawat' Art Exhibition at Triple Two Boutique Hotel, Silom Road, Bangkok. 2004 'Four Thai Artists Exhibition' at Washington D.C., USA. 2005 'The Theatre of The Spiritual Entertainment' Exhibition at Wat Panyanandaram. 'Art at Thai Teak Wood House' 2nd Exhibition by Thaksinawat group at Suk 11 Gallery, Sukhumvit 11. 'Besides & Beyond' 3rd Exhibition by Thaksinawat group at All Seasons Place, Wireless Road., Bangkok. 2006 'Memories by the Sea' 4th Exhibition by Thaksinawat group at Gallery Opium, Pattaya. 'Art Thailand Debut' Exhibition, Bangkok. 'Faith' Exhibition by 4 Thai Artists at River City Shopping Complex, 4th Floor, Si Phraya Rd. 'The Artists's Impression to our King' Exhibition at Queen's Sirikit Convention Centre. 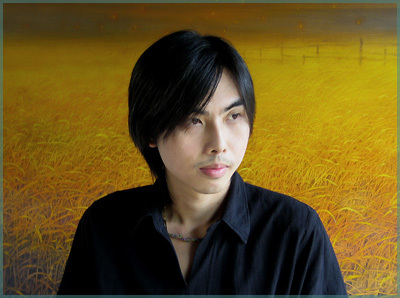 2007 'Artist Self Portrait' Exhibition at Silom Galleria. 'Poh Chang Alumni Fine Arts Exhibition' at C.P. Seven Art Gallery. 'Live-Reflection' Exhibition at Chanpen Restaurant, Silom Road. 2008 'Boundless' Exhibition at Patravadi Theatre, Soi Wat Rakang, Bangkok. 2003 'Light in Atmosphere of Faith' Exhibition at River City, 4th Floor, Si Phraya Rd. 2006 'Study in Light' Exhibition at the Carpediem Gallery, Soi Ruam-rudee. 2008 'Principles of Buddhism - Faith - Happiness' Exhibition at Number One Gallery, Silom Galleria. 2003 'Heaven' at THE SPA, Dusit Thani Hotel, Bangkok. 2006 'Heaven' at THE SPA, Dusit Thani Hotel, Chiang Mai. 1990 3rd Prize 'The Elaborater's Day'. 1993 Honorary Mention, Children and Youth Exhibition 'Queen Mother's Work for the Thai'. 1995 Honorary Award, 2nd Best Arts of Thailand, organized by Philip Morris Company. 1st Prize, Contemporary Art by young Artists 'Thailand, Heaven for Visitors'. 1997 1st Prize, Exhibition in Honour of H.M. the King 'Good Health under His Royal Patronage', Organized by the Ministry of Public Health. 1998 Special Awards, Painting in Honour of H.M. the King's 72nd years, organized by Thai Farmers Bank. Honorary Award, 6th Best Arts of Thailand, organized by Philip Morris company. Participated as a judge for Children�s Competition on Mother�s Day, Nakhorn pathom. Designed the Buddhist Monastery of 'Wat Chai Chimplee'. 2000 1st prize, Models and Sketches in Honour of H.M. the Kign's 6th Cycle Birthday Anniversary. 3rd Prize (Semi-traditional Thai painting) 25th Bualuang Exhibition of Paintings. 2004 Honorary Award for a Painter who promoted Buddhism by Wat Panyanandaram. Had selected to be a Good Alumnus of Fuculty of Fine & Applied Arts, Rajamangala University of Technology Thanyaburi.